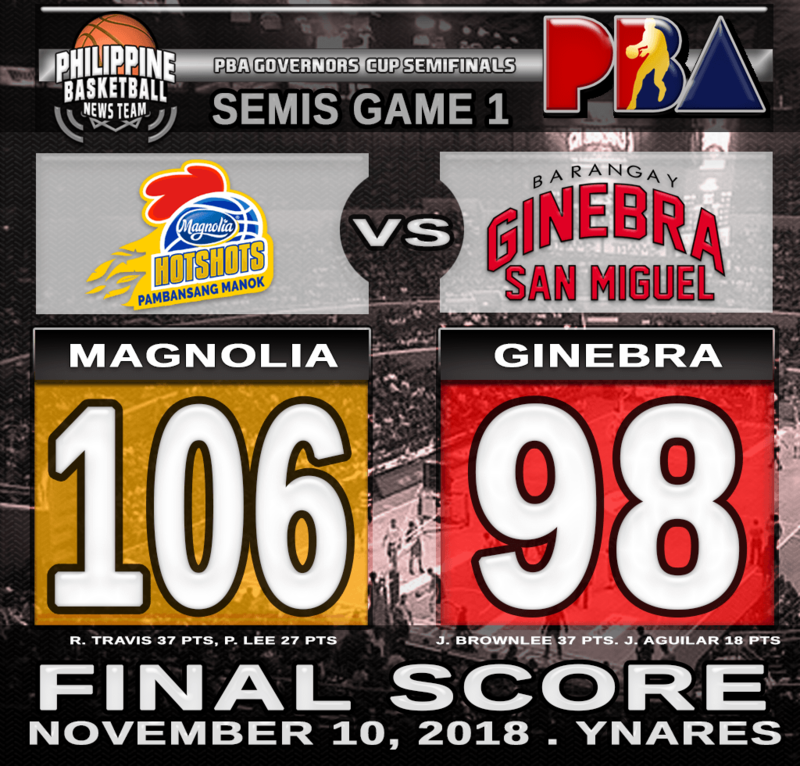 PBA News 2018: Magnolia Hotshots pierced hapless Columbian Dyip, 113-95, courtesy of Romeo Travis‘ monster performance in the 2018 PBA Governors’ Cup this Wednesday at the Araneta Coliseum. Travis finished with 32 points, 14 boards, and 7 dimes, while Mark Barroca and Paul Lee added in 17 and 13 buckets respectively. ➤ Ian Sangalang also contributed 11 points for the Hotshots. ➤ Jackson Corpuz led the losing Dyip with his 20 markers and 9 caroms, while reinforcement Akeem Wright made 19 points and 8 boards. ➤ Columbian is now practically eliminated from contention after succumbing to their 7th loss. They are now 0-7 in the Governors’ Cup. The Hotshots, on the other hand, are now at the top of the standings together league-leader Barangay Ginebra with an identical 5-1 record. ➤ Magnolia will next battle Blackwater Elite on Wednesday, October 10 at the Cuneta Astrodome.